he oldest German Catholic Church in Texas and the oldest wooden church building in Galveston, St. Joseph’s was built by German immigrants in 1859-60. Bishop John Odin, the first Catholic bishop of Texas, recommended that a church be built for the German-speaking Catholics of the growing city. The church was dedicated in April 1860, to St. Joseph, the patron saint of laborers. The building is a simple wooden gothic revival structure, rectangular with a square bell tower with trefoil window. The softly painted interior features a coffered ceiling with painted quatrefoils and other gothic symbols, plaster of Paris Stations of the Cross with German inscriptions dating from the early years of the 20th century and the original, elaborate main and side altars with reredos as well as many of the original statues and altar furnishings. Although damaged in the 1900 Storm, the church was repaired, enlarged, and redecorated within the year, retaining its original architectural character. In 1968, the Catholic Diocese closed the church and sold the contents at public auction. Upon learning that the building was to be used as a warehouse, GHF stepped in and leased the property. Most of the original furnishings were recovered, re-installed, and the structure was stabilized. GHF continues to maintain the building and opens it for special occasions, prearranged group tours and private function. 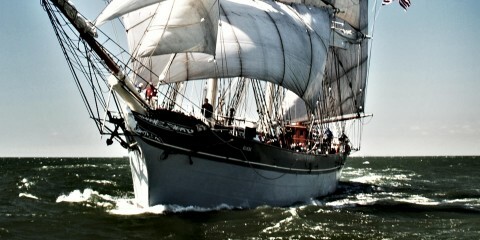 In the 19th century Galveston was a major port of entry for the State of Texas. German immigrants arrived in great numbers. Many immigrants traveled inland to settlements already developed in central Texas, such as New Braunfels; others chose to settle in the prosperous and growing city of Galveston. By 1859, Galveston was home to two to three thousand German immigrants, almost half of the population of Galveston. Bishop John Odin recommended the construction of a Catholic church in which German language services could be held. Three lots on the northwest corner of 22nd Street and Avenue K were purchased and architect Joseph Bleicke, a German architect who himself had immigrated to Galveston in 1850, was commissioned to construct the building. After more than one year and an expenditure of $4,000, the new church was dedicated in April, 1860 to the patronage of St. Joseph, the patron saint of laborers. This statue of St. John was restored by GHF and restored to its place in the church. In 1876, St. Joseph’s parish established the first parochial high school in Galveston in a building next to the Church (no longer standing). Sisters of the Sacred Heart taught English, French, German, mathematics, painting, needlework, and other subjects usually offered only in first-class schools. The school closed in 1926. St. Joseph’s prospered, but this working class parish was never among Galveston’s socially prominent congregations. In 1895, the Catholic Diocese wanted to move St. Joseph’s to another location. Members of the congregation signed a petition successfully opposing the move. Although the exterior of the frame building is a simple gothic revival design, the interior is surprisingly ornate. The church features painted wood walls, the original grained-painted cedar pews, hand-carved altars, plaster Stations of the Cross and a beautifully coffered ceiling painted with quatrefoils and other gothic symbols. Although damaged in the 1900 Storm, the church was repaired within the year, retaining much of its original architectural character. The side rooms were added at this time. The church was raised 2 1/2 feet during the grade raising. St. Joseph’s was an active parish until 1968 when the church was closed and its contents sold at public auction. Upon learning that the building was to be used as a warehouse, Galveston Historical Foundation stepped in and leased the property. Most of the original furnishings were recovered, re-installed, and the structure stabilized. Restoration of this museum property is an ongoing project of Galveston Historical Foundation. Today, St. Joseph’s Church is one of the four oldest church buildings in Galveston and the oldest German Catholic Church building in Texas. It is one of the few pre-Civil War buildings left on Galveston Island. The 1859 St. Joseph’s Church is not open for public tours, but can be viewed at 2202 Ave K in Galveston, Texas. 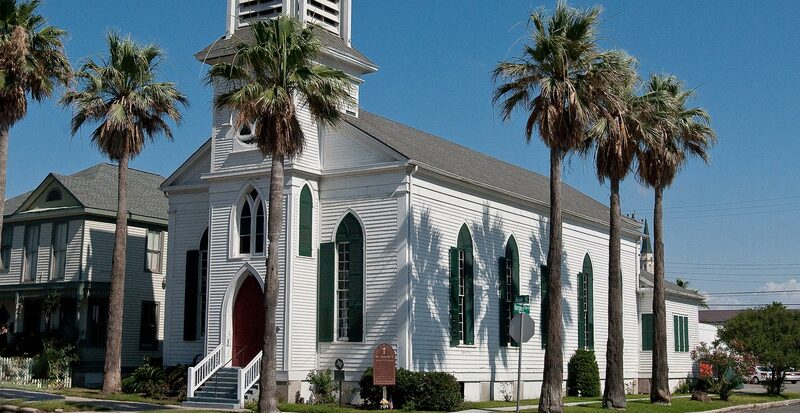 St. Joseph’s Church is a fascinating look at early religious history of Galveston. Tour will last approximately 30 minutes. 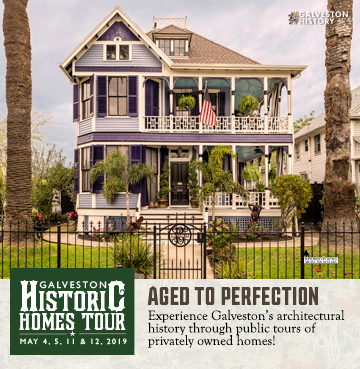 Contact tours@galvestonhistory.org or 409-765-3402. Galveston Historical Foundation is committed to making our programs and historic sites special needs accessible. However, at this time, St. Joseph’s is not fully accessible to those with physical disabilities. If you have special needs contact 409-765-7834 in advance to your visit to make arrangements. St. Joseph’s is a privately owned and operated historic site listed on the National Register of Historic Places.